While no stranger to the cover of a September issue or two, Beyoncé has taken on a different role this time around as Vogue has given her "unprecedented control" of their most iconic issue. Being the boss that she is, Beyoncé has already made history, hiring the first black cover photographer in Vogue's 126 year history. The internet is buzzing both over another Queen Bey September issue, but also over the startling fact that it has taken so long for Vogue to hire a black photographer to shoot a cover. Tyler Mitchell, a 23 year old rising star in the industry, is the person who, thanks to Beyoncé, will change this and hopefully set a precedent in the publication. 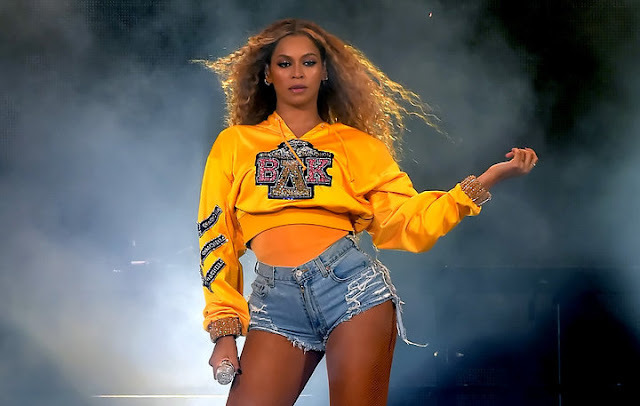 Naturally, any other information about the issue has been kept quiet, as both Vogue editors and Beyoncé are known for keeping their distance from the press. However, with September right around the corner, we are keeping our eyes peeled for any glimpse of what is to come from the mind of Beyoncé and onto the pages of Vogue.